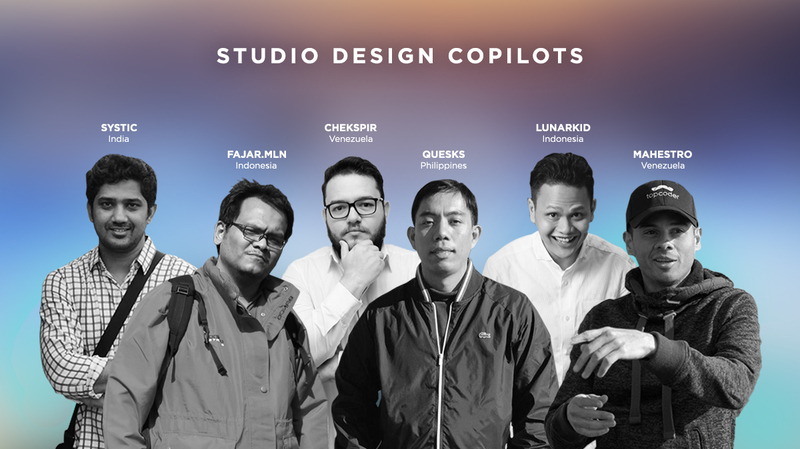 We were so excited to interview some of our amazing Design Copilots for Design Month that we couldn’t fit all of the great content into one blog post. Please enjoy part 1! When did you join Topcoder and how did you hear about it? lunarkid: I joined in November 2007. 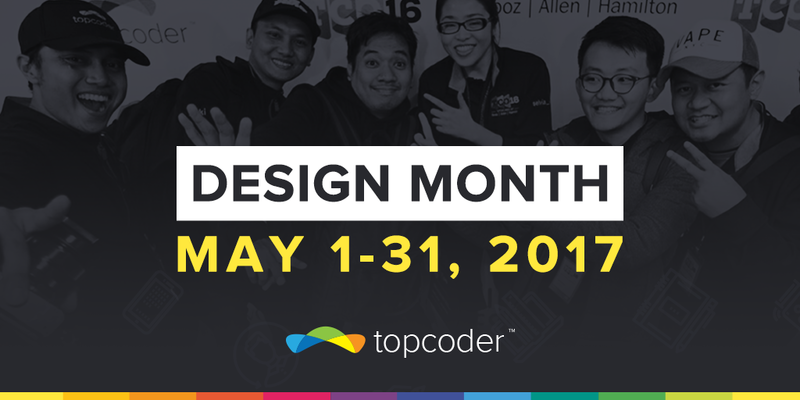 I heard from the newspaper & television about abedavera being a design competition champion and started tackling Topcoder from there. mahestro: I heard of my baby girl in early 2007 thanks to a friend who suggested me to check out the algorithm competitions. chekspir: I joined in 2009. One of my best friends, Luis (Mahestro) invited me to join when we used to work together in Venezuela. quesks: Back in 2005, I read a blog post about a Filipino guy (kristofferrouge) that won a logo challenge (TCO05) and it inspired me to participate. Then I joined Topcoder in 2006, participated and won 2nd place in TCCC06 logo challenge. 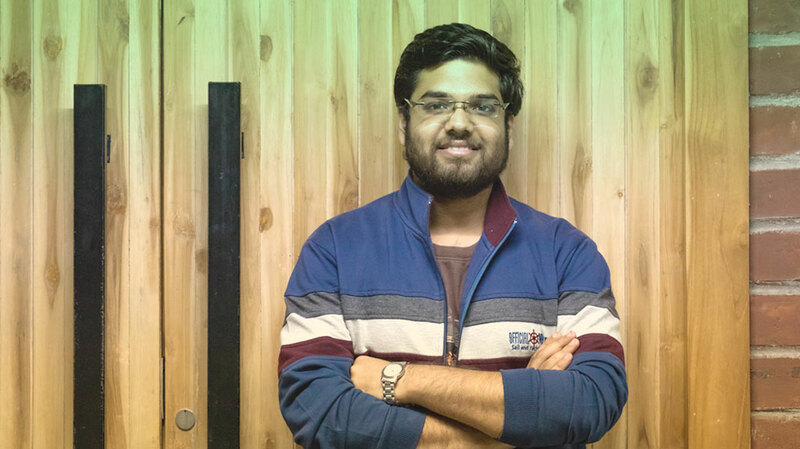 fajar.mln: I joined and start participated in Topcoder since 2008. Heard about Topcoder from my university friend izhari and abedavera. They are quite active at Topcoder, izhari actively participated in the algorithm track and abedavera in the design track. systic: I was looking for an online job back in 2007 after completing my graduation, so I had been googling everyday. Then I found Topcoder and registered. In the early days of registering I was inactive as I didn’t know how things worked at Topcoder. But in 2008, after losing my 1st job (due to recession) it gave me the push to participate in Topcoder challenges. Then I had another full-time job while working on wireframe challenges in parallel which was the time I took a decision to quit my full-time job (my parents had been very supportive all through) and started working as a full-time member in Topcoder. Have you always been a copilot? Were you a designer/developer, etc. before? Why you did you decide to become a copilot? lunarkid: I’m a hybrid type, design + coding. adroc invited me to become the Design Copilot to assist him. And that made me the 1st Copilot on Topcoder. mahestro: I competed in the Design track (formerly known as “Studio”) as a designer, not regularly but I always tried to be there to practice, learn, and share with the community. 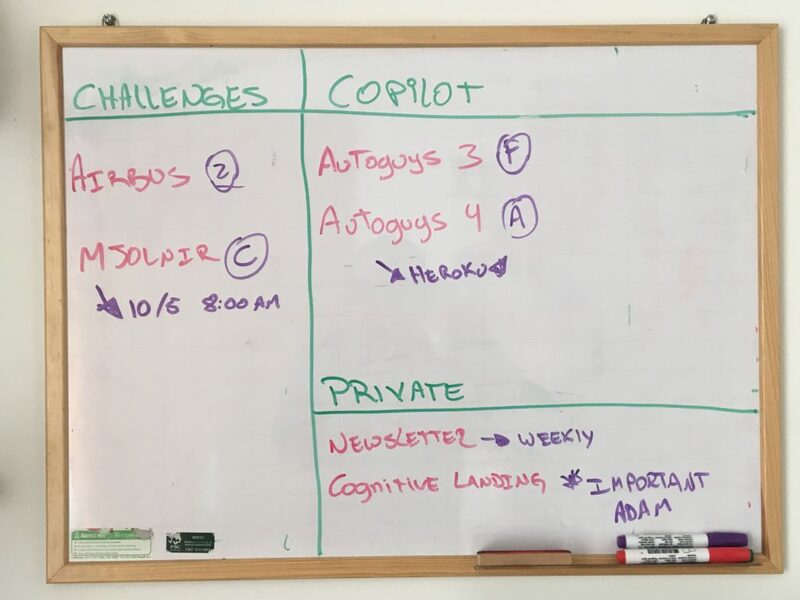 Becoming a copilot felt like a natural transition to me due to the type of work that I was doing in my day-to-day activities as a project technical lead for a company I worked for and also mine. I didn’t hesitate to give it a try when this opportunity came to me through Jessica (former Studio Director). By the time I took the copilot training there weren’t many, I was the third copilot to join the design team if I recall correctly. chekspir: I started competing on design challenges on 2014 and then I started to work as Copilot on January 2016. I decided to become a Copilot when I quit my job, so I took Topcoder as my main work. quesks:I started in a logo challenge. When Studio came in, I competed mostly in UI Prototypes and some design challenges. Nowadays, I do mostly copilot role and some direct tasks but I still occasionally participate in some UI Prototype challenges when time permits. The copilot role was first offered to me by adroc but I declined because back then I felt I’m not ready for the role. Then after a few more years, the CS-STEM project came and I got another offer to be the Studio copilot of that project which I accepted thinking that I’m ready to take the role and its responsibility. 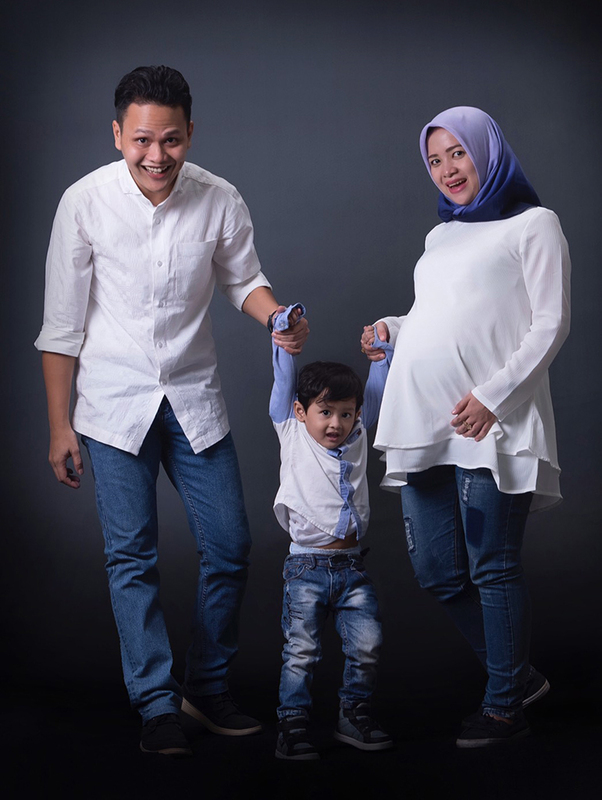 fajar.mln: I started as designer, wireframer, and prototyper at Topcoder. My luck started when i won my first challenge on 2009 in a UI Prototype challenge which was for a WordPress theme. This happened one year after I joined the site and participated in countless challenges without luck (back then 3rd place only got smile, not cash). Since then, I tried so many positions from spec reviewer and reviewer in UI Prototype track, and then continue as spec reviewer, screener and finally copilot for design track. systic: I was initially was working on wireframe challenges. During my college days I was interested in learning how a website works / so I learned HTML, CSS…and was more interested in how people interact with the information on a website (user experience) – That probably got me placements in wireframe challenges as I always loved to create wireframes [especially with Axure :)]. Jess (studio admin back then) was looking for members who were interested to take up additional responsibilities (spec reviewer, screener, and copilots). Being a full-timer at Topcoder I had plenty of time and thought would be great to have some additional responsibilities. I applied / began working as a spec reviewer initially and later asked about joining screening and co-piloting, that was the time when Jess introduced me to Adam. I got a mail after 6 months with the mail subject “Copilot Time”. Do you have an advice you would like to give all designers? Maybe you see some mistake happening frequently and want to point to that one time for all. – Read the challenge spec carefully! Follow the rules. – Think about solutions that solve the design problem. – Research up to date design trends on the Internet. – Learn at least some coding to help you figure out how your design will look in real life. mahestro: Declare your assets! That’s one of the most common issues I’ve seen when reviewing submissions. Designers who fail screening (or get warned) due to simple mistakes like forgetting to declare fonts or stock artwork. chekspir: Being a Copilot I have noticed that many designers do not follow all the specs and some never do all of the required screens; maybe because of time. But my advice would be, if you really want to start winning more challenges, you need to take care of all required details and also take care of small details on design. Start making more designs with a professional look and feel. quesks: Just make sure to understand the requirements. If you have a great idea, bring it on during the checkpoint round so that the client will be able to review it and give you feedback. fajar.mln: Start participating early in the challenge. I’ve seen a lot of incomplete submissions recently, and when you join late, you don’t have time to create a great quality solution. When designing, always use the guidelines. I’ve seen a lot of new designers not paying attention to this basic 101. When you have doubts, ask questions in forum, stop assuming, because assumptions will kill you. Stop creating beautiful designs and start solving client problems. systic: Please feel free to speak up/ask question if you don’t understand challenge requirements and make good use of the challenge forums! What do you like most about being a design copilot? 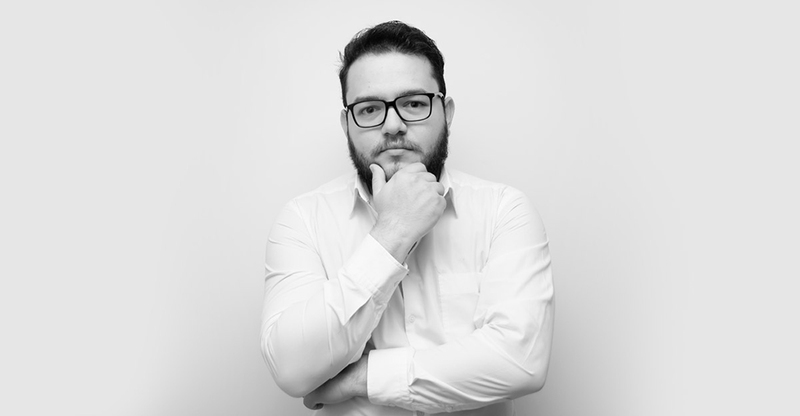 lunarkid: I have full freedom of time management, working on multiple cool projects and clients, and working with lots of awesome members around the world. mahestro: One of the things I enjoy in life generally, is cracking down problems. Being a copilot allows me have the chance of tackling down design problems from the very beginning along with the client and being able to contribute with ideas before the challenge gets launched. I can’t deny that I also enjoy “translating” technical client details into designer language. chekspir: Being a Copilot taught me how to be a more organized person. I like the opportunity to learn about many things like: project management, game plans, design, writing specifications, etc. quesks: What I like most is when the submissions come in and being able to check the design solutions. There are some expected design solutions of what I had in mind when doing the challenge specification but most of the time there are great design approaches that are too captivating. fajar.mln: I’m able to work on many interesting projects, always being updated with real life problem. systic: It’s a great working flexibility and it provides me an opportunity to interact with lot of members. It gives the feel of working as a team! How do you manage so many design projects at one time? lunarkid: I have some projects on design / coding that makes me keep busy. Anyway, a copilot is a skillful member and I just need keep looking for opportunities. mahestro: I just turn off all my devices and let the forums go mad. This community can solve anything, even a copilotless challenge. To be honest, I wouldn’t do that not even in my wildest dream, but one of the things I learned through this journey was to organize my projects, creating thousands of reminders for the deadlines and meetings, as well as to-do applications to help assigning priorities to the tasks for the day. chekspir: I personally have a whiteboard at home where I write all the challenges where I’m working currently. I use the add notes of the status like “Review”, “Checkpoint”, “Final Fixes”, etc. quesks: I usually keep a list of my todo task, review them before going to bed so that I can do them faster the following day. fajar.mln: To be honest, managing many challenges at the same time is more easier than managing only one or two challenges. I even managed 12 active challenges at one time. When you have more challenges, you don’t need to worry about anything, just focus on managing those challenges and make sure the results are perfect and everybody is happy. Less challenges means less payment and when it happens, I need to be working on something else to find alternative income. systic: Managing many challenges is based on experience, but managing all these become much easier by managing a checklist, so that comes handy to perform better! We have more from our copilots so check back for part 2!